Living Social Voucher Redemption Guide. Home > Living Social Voucher Redemption Guide. 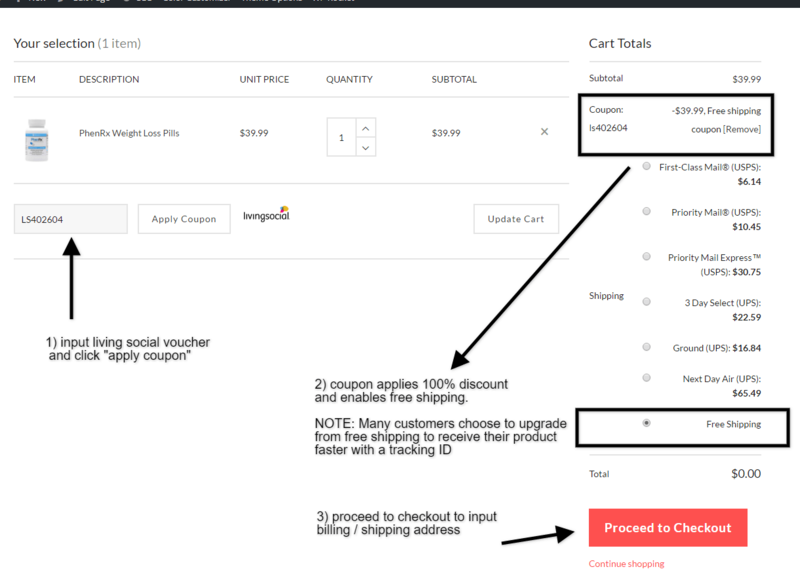 Many customers have expressed misunderstanding of the voucher redemption process or what exactly it is they have bought from Living Social. The below guide serves to act as a step-by-step walk through to getting your deal to your doorstep as fast as possible. Didn’t receive your voucher email? 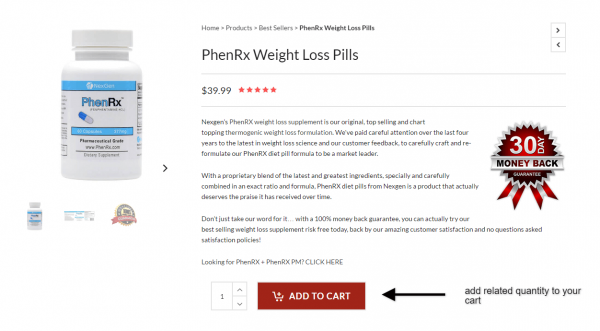 Receive email containing voucher code. Apply voucher in supplied coupon box directly under your cart contents. Creating 100% discount + optional free shipping speed. What have I purchased from LivingSocial? Applying a voucher will create a 100% discount for the related item(s) and quantity you have selected and purchased. The voucher also enables an optional ‘Free Shipping’ method for US based shipping addresses. Note: You aren’t required to use the free shipping method. A slight majority of customers prefer to upgrade their shipping speed to get started with their new product as soon as possible & enable deliver tracking functionality via USPS or UPS courier services. 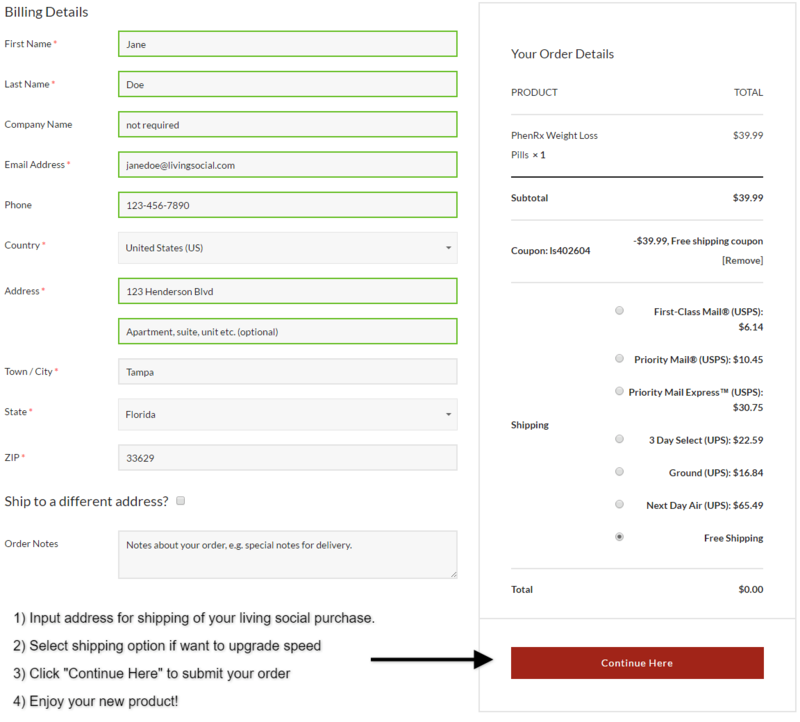 You then complete your order by providing the billing/shipping address on our checkout page and submitting your order. 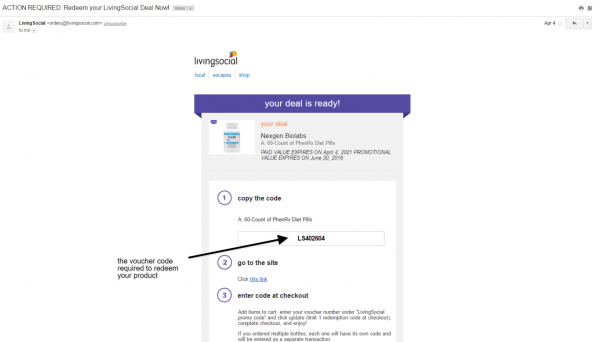 Please contact LivingSocial support at – https://help.livingsocial.com/ – with your account or order information handy. 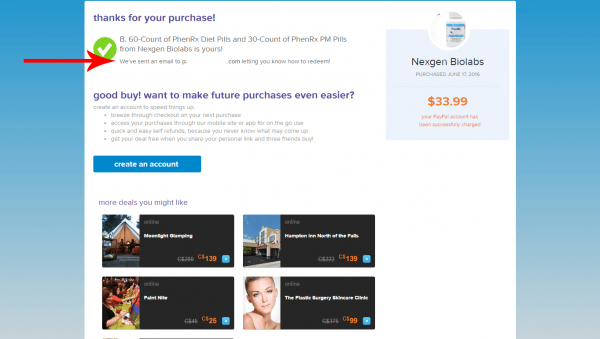 If more relevant to NexgenBiolabs, please fill out the contact form below including as much detail as possible including order id or your LS###### formatted voucher to allow us an expedited customer support experience.